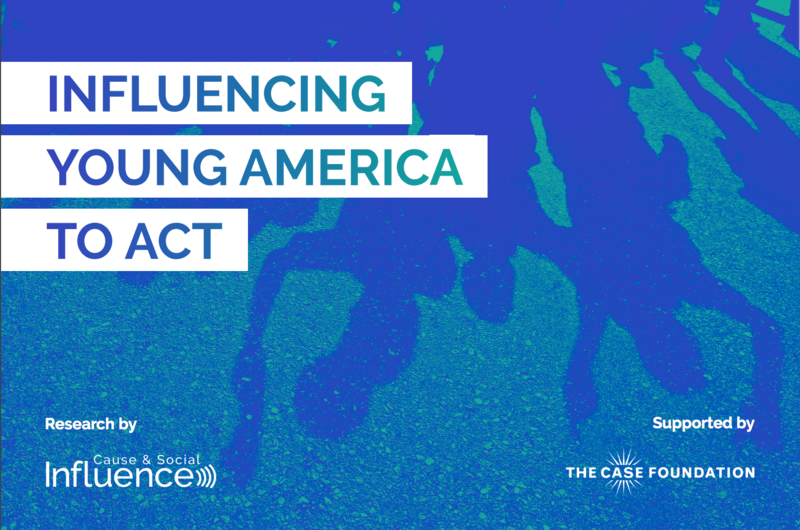 For the past ten years, a key pillar of our work at the Case Foundation has been focused on understanding and empowering Millennials to act on causes that matter to them. Since 2009, through the Millennial Impact Project, the Case Foundation has worked with researchers to engage more than 100,000 young people to better understand the dynamic between causes and Millennials, with a particular focus on what influences this impactful generation to act for social good. 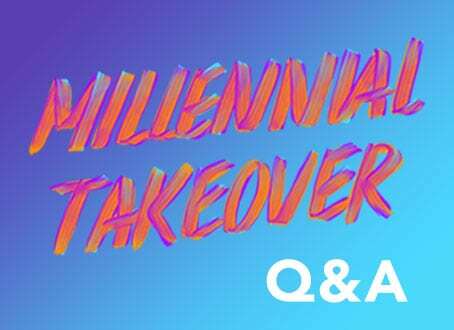 Building off this work, and guided by both the answers and further questions this research raised, we turned our eye now to how a segment of this generation, Young Americans between 18 and 30, were viewing key issues. Marketers and product developers have long felt that the 18-30 phase of life is when lifelong consumer behaviors are formed, and, therefore, we also explored what influences play a role in social causes for this generation during these formative years. Two National Geographic Explorers—Imogen Napper and Lillygol Sedaghat—who are contributing to the science and telling the story of climate change and the role of individuals and the products we consume. For example, Imogen explained her role in reducing plastics in the environment via the microbeads in face and body washes. Case Foundation CEO, Jean Case, and Michael Smith—Case Foundation alum, now Executive Director of My Brother’s Keeper, and Director of youth philanthropy at the Obama Foundation—had a powerful discussion on the fearlessness of civil rights leaders and others who have led movements historically and how their work is continued today with efforts like My Brother’s Keeper. This was also an opportunity for us to continue the conversation with Michael that we had begun online, as he was one of the leaders who we invited to participate in a 10-day Instagram Takeover to share a day in their life representing the Millennial generation’s interests on key issues and movements, which you can still see here. 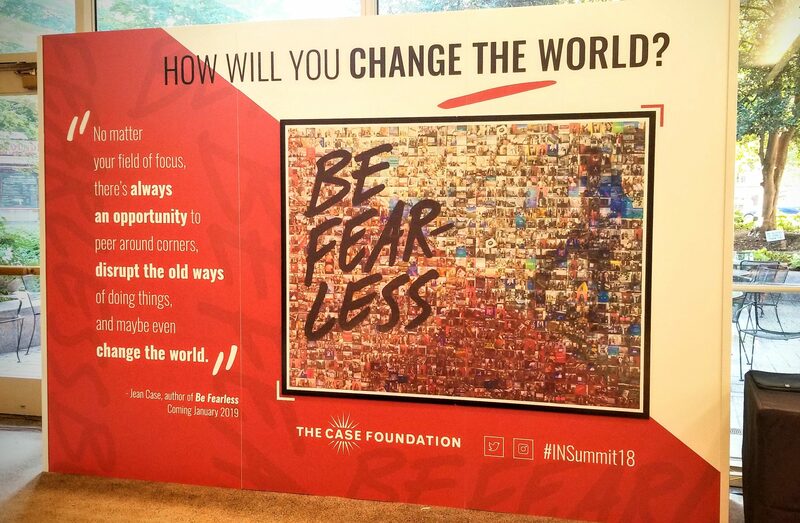 We were happy to also promote our Be Fearless campaign off-stage in the lounge by inviting attendees to add their picture to a larger mosaic, telling how they too will be fearless and change the world. The lounge came together as a truly inspiring setting where local artists’ paintings, photography and live installations were a great reminder of the power of creatives to influence movements and the influence of movements to inspire the work of artists. When discussing influential movements today, it is impossible to leave out the leadership of the Stoneman Douglas High Students and the March for Our Lives that continues to influence young activism across the country. It is also impossible to ignore the unfortunate event that led to their social and political activism. We had the opportunity to hear from Fred Guttenberg, the father of Jamie Guttenberg who was sadly killed in the Parkland, FL shootings this February, during the afternoon, when he delivered an impassioned call to individuals to vote to change policies they do not believe in. The issues and movements highlighted at the summit are among the key social issues and movements that young Americans raised in a nationwide survey of 1,100 Americans between the ages of 18-30 that Cause and Social Influence fielded in August. 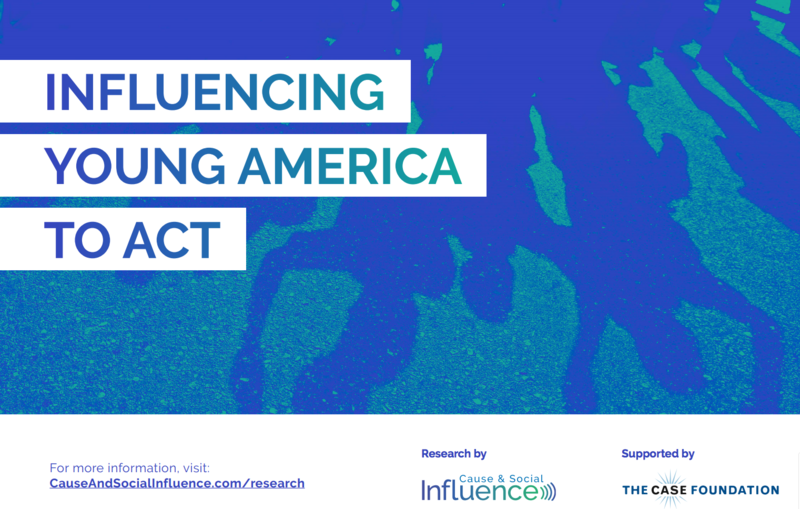 As sponsor of this research, we are excited to share the results of this initial research as it can inform all those who work in the social sector—nonprofits, corporations and government—as well as the media, about the motivations and influences that lead Young Americans to take action on the issues they care about. 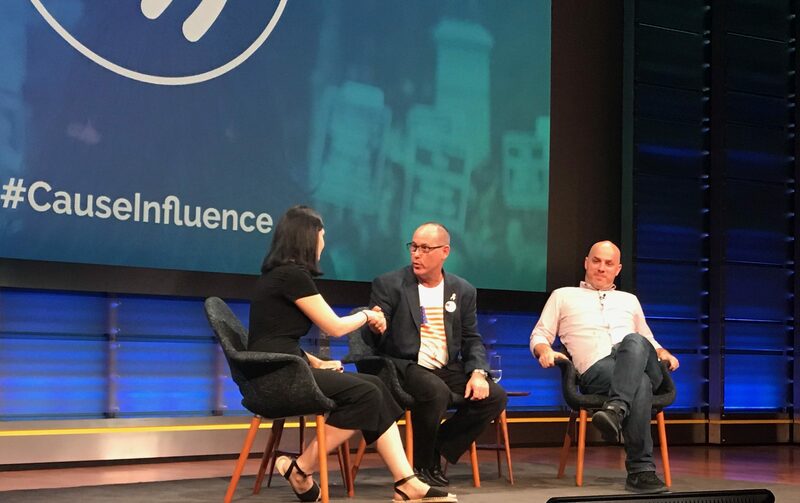 For example, the leading issues of concern for survey respondents are: civil rights/racial discrmination, gun safety, immigration and climate change, which were all brought to life on stage through robust conversations at the Influence Nation Summit. Within the full report, there are a number of other valuable findings, including these two important takeaways. Television news media plays an unexpectedly important role in informing Young Americans about key issues. In our past work researching the Millennial generation, we, like many others, have noted the powerful role of peer influence when it comes to partaking in donations and volunteerism. Therefore, were were surprised to see that among the 18-30 year-olds surveyed, television news media was cited as the primary way Young Americans became aware of social issues. Only 36 percent of those concerned about climate change cited news on television as central to their becoming aware of the issue. Meanwhile, social media was still the number one way that they learned about social movements like #BlackLivesMatter and #MeToo. The role of TV news media continued to show its power in movement building for this generation as the second most cited source of awareness about major movements and the number one source for the movement #AllLivesMatter. Young Americans believe their influence can have an impact and state an intention to vote in the November Midterm Elections. 55 percent of African Americans. The research shows a significant interest in exerting influence on government by voting, both because a significant portion of those surveyed do not think the the country is going in the right direction and they have low trust in government to do the right thing. According to the survey, 48 percent of Young Americans think the country is going in the wrong direction. This dissatisfaction outweighed the 27 percent of respondents who thought the country was on the right track. In light of this less than positive outlook on government, it is heartening to see that Young Americans who were surveyed are not intending to sit on the sidelines. They want to do something about the issues that concern them, and we hope to see this interest turn into action and increased voting this November. As we embark on this extension of our past work and continue to explore not only how 18-30 year-olds in America consider social issues and major movements but what influences their interests and willingness to act, we welcome your comments, insights and voice in sharing this work and its findings. 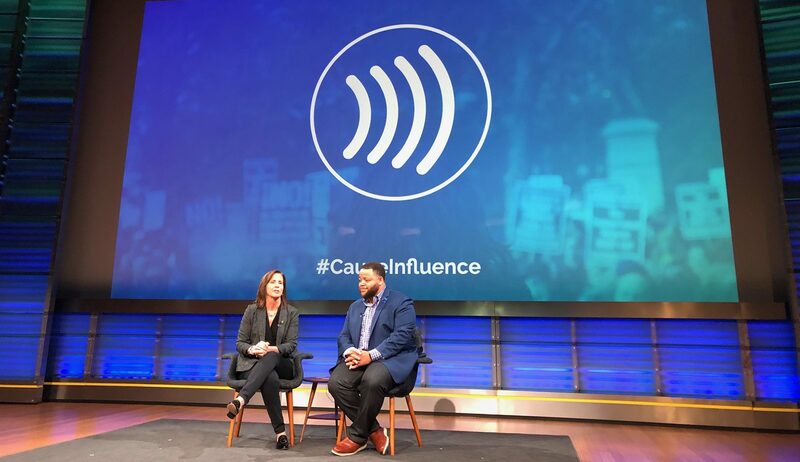 We look forward to continuing this conversation on Twitter, Facebook and Instagram using #CauseInfluence as well as in the Case Foundation’s weekly newsletter, Breaking Good.